Sold by Technopack Corporation and ships from Amazon Fulfillment. 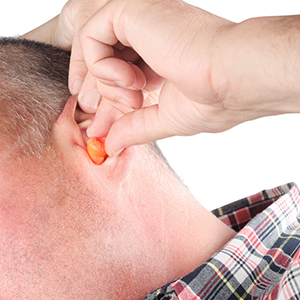 Extremely loud work environments demand the best possible hearing protection. 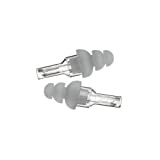 These MAX Foam Earplugs boast the highest Noise Reduction Rating (NRR 33) of any disposable earplugs on the market. 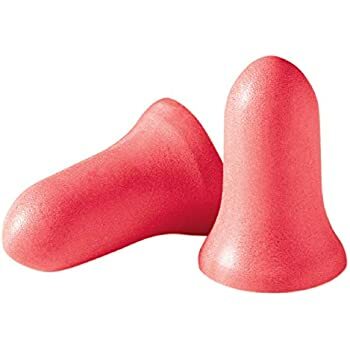 So it's no surprise they are also the most used PE foam earplugs in the world. The soft polyurethane foam delivers longwearing comfort, and the bell shape matches the contour of the inner ear for a safe, secure fit. 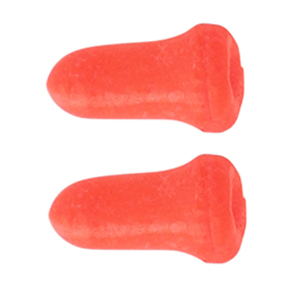 The shape of MAX Earplugs also helps to resist the tendency some earplugs have of backing out of the ear canal. The soil-resistant, closed-cell skin also promotes safety as it prevents dirt from building up and inhibits ear infections. 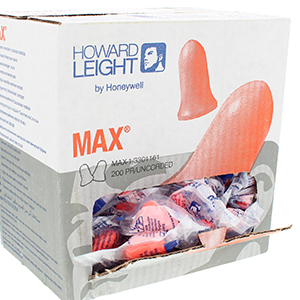 Ideal for extremely loud workplaces and jobsites, Howard Leight by Honeywell MAX Foam Earplugs offer the highest Noise Reduction Rating of any disposable earplugs on the market. 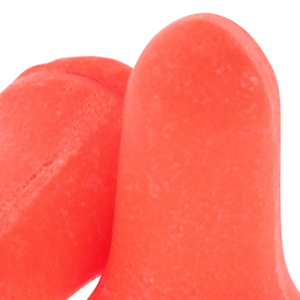 A secure fit helps MAX Earplugs deliver top noise reduction. The bell shape is designed to mirror the contour of the inner ear to ensure maximum noise reduction and hearing protection. It also helps to resist the tendency to back out of ear canal. 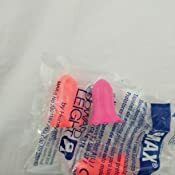 MAX Earplugs feature a smooth closed-cell foam skin that resists soiling and promotes overall ear safety. 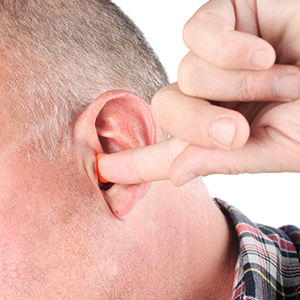 Comfortable wear promotes hearing safety because workers are less likely to remove, adjust or temporarily go without their earplugs. 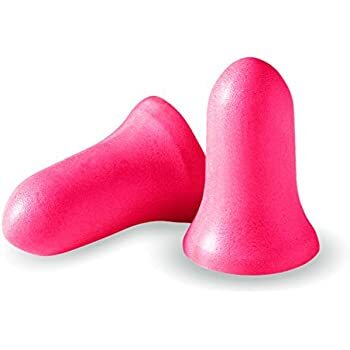 MAX Earplugs feature a soft PE Foam that ensures longwearing comfort. 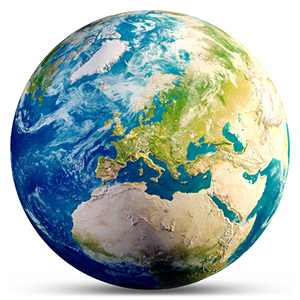 Comfort, hygiene and the top noise reduction rating combine to make MAX Disposable Foam Earplugs the most used Polyurethane foam earplugs around the world. 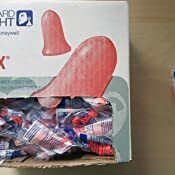 The earplugs are sealed to ensure a hygienic, tamper-free, authorized Howard Leight by Honeywell product. 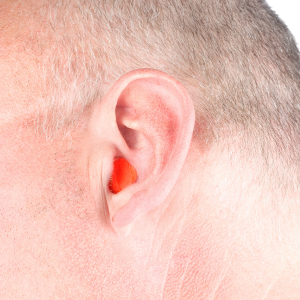 The pop-out door allows for easy earplug access and containment. 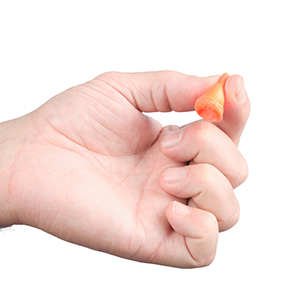 With clean hands, roll the entire earplug into the narrowest possible crease-free cylinder. 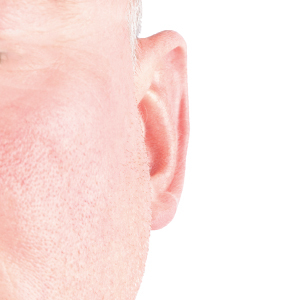 Reach over your head with a free hand, pull your ear up and back, and insert the earplug well inside your ear canal. 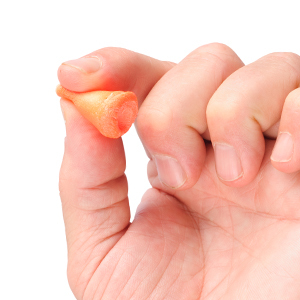 Hold for 30 – 40 seconds, until the earplug fully expands in your ear canal. 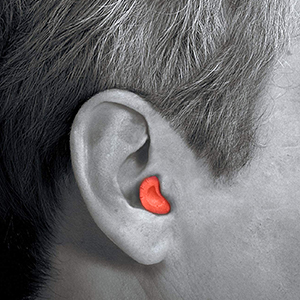 If properly fitted, the end of the earplugs should not be visible to someone looking at you from the front. 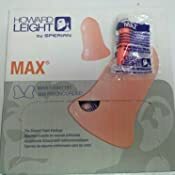 Howard Leight by Honeywell MAX Disposable Foam Earplugs offer the best hearing protection in the workplace of any single-use earplugs (33 NRR). The pre-shaped, contoured foam is designed to fit almost any ear canal for comfortable all-day ear protection on the job. A closed-cell outer layer prevents dirt from building up. 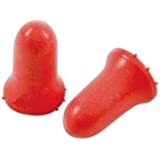 These earplugs are the most used PE foam earplugs in the world and are suitable for use in almost any industry. 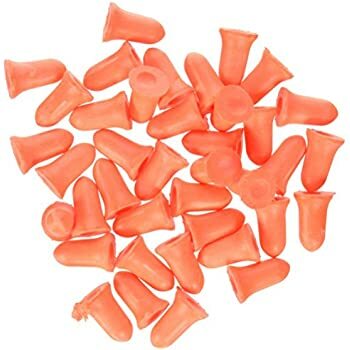 200 pairs of earplugs per pack. 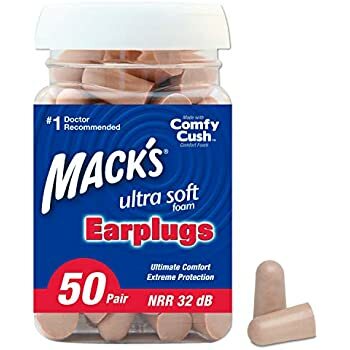 Max uncorded single-use earplug. 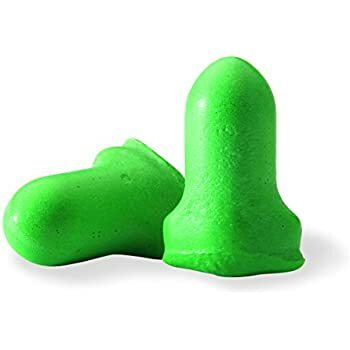 The world's most used polyurethane foam earplug. Extremely comfortable, especially for long-term wear. Smooth, soil-resistant closed-cell foam skin prevents dirt build-up. Contoured bell-shape is easier to insert and resists the tendency to back-out of the ear canal. NRR 33. When my beautiful, lovely, petit wife got pregnant, she became a snoring beast of apocalyptic proportions, I have never heard sounds like that before. Her snoring was so bad, it sometimes made its way into my dreams, I was dreaming something beautiful and peaceful and then out of the sky I heard “RROOOAAAAAAARRRR!!!! !” and it scared me so bad, it usually took me a few thunderous roars before I woke up thanking god it was only a dream, only to notice the sound is still happening when I was awake, it was horrible, it was a nightmare, I had to go to the guestroom to sleep and that room has no tv, no computer, no video games! I ACTUALLY HAD TO READ FOR FUN!, IT’S MADNESS. 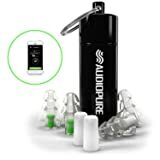 It was time to change so I started a long but productive research into noise canceling headphones and earplugs, I was ready to spend nearly 300 dollars on those crazy Sony noise canceling headsets when I stumbled upon these cheap babies. I tried them for the first time last night, coincidentally it was a day where we were having a lot of workers in and out of the house early into the day when we both are sleeping, they were going to be drilling, hammering, knocking, stumbling, laughing, etc. All this coupled with my wife and her inhuman noise of destruction. It took me a while to realize what was happening when I woke up, first of all my wife was gone, I am a very light sleeper so normally if she gets out of the bed that’s enough for me to wake up, I was also confused because there were no workers, no sound, no one. So I said “oh well, I guess I lucked out and nobody came today” and when I pulled my earplug off all hell broke loose! Drills, hammers, talking, my wife on the phone on the other room, etc. This things shut me off from the world to the point where now I am a bit hesitant to use them, I literally felt like being unplugged from The Matrix. I've used earplugs to sleep for 25 yrs. My favorite brand is no longer available. These were my second attempt at finding a replacement. Though they work well, initially, for the first few days, a new pair irritates the inside of my eat to the point of leaving a sore spot. Maybe my eat canal is too small. Either way, I was finding them painful and have switched to a brand that is a green cylinder. They work perfectly. 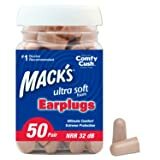 I have used Mack's Ultra Soft Foam earplugs for a year (no longer using them since they changed their formula for the worse), so I can somewhat speak to the differences between the two. I on the 2nd floor of an apartment complex and have both noisy upstairs and downstairs neighbors. 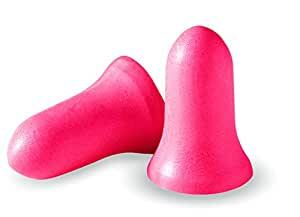 To sleep, I almost always need to wear earplugs to block out sounds of TV, loud bass, and heavy walking. I tried these for the first time last night and will be returning them today. The positive is that they block out more sound compared to Mack's. However, they are larger than Mack's and the difference in size will be significant for certain people. Mack's fit comfortably, were not painful to wear overnight, and never fell out if I inserted them properly. 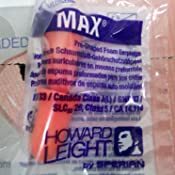 These Howard Leights were incredibly painful - it was so bad that the pain woke me up several times at night, and I eventually gave up on using them. My ears hurt even now, hours after I took them out. If you liked the size of the Mack's, these might not be the best sized alternative. Before purchasing these, I decided to try the same brand but in the small size since some reviews suggested that women would feel more comfortable with the small ones. They ended up being much too small. I ride motorcycles long distances (well, compared to most riders anyway), and also race cars. 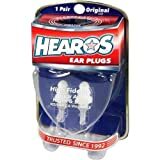 These plugs have been the most comfortable for long term use, both in terms of wearing for 2-3 hours at a time, 10-12 hours in a day, and upwards of 2 weeks of regular use. 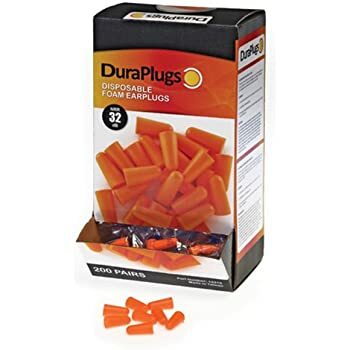 Unlike the open cell foam ones that tend to be yellow/orange, these don't seem to pick up ear wax and can be used many times before they require replacement, I've gone on a 2 week motorcycle ride covering over 3000 miles and only used 2 pair. The noise reduction is awesome, they stay put and still allow you to talk on the radio or listen to music. These come in individual wrapped pairs, so it's easy to toss a few pairs into your bag so you'll have them when you need them. If you want to try them out for less, CVS has smaller containers that look (and perform) just like these. These work great! They are comfortable to wear (I sleep with them on), and they really help deaden the outside sounds. I have had problems with my early-riser neighbors "stomping around" upstairs making lots of ruckus EVERY MORNING like clockwork at the crack of dawn 6 AM like rats on crack; meanwhile, us night owls know that 6 AM is right when your body starts getting into its good sleep. The ceiling in this ground-floor unit doesn't really do a good job of absorbing sound so I end up hearing nothing but *thump* *thump* *thump*, and the thumps are perfectly timed to happen just right when I'm falling back asleep again. I digress. Ever since I started sleeping with these on, I haven't woken up from my neighbors. Unlike other earplugs, these seem to be the most comfortable ones I've tried and the best at absorbing noise. Howard Leight has a great reputation in the industrial sector for hearing protection, so this comes in a no-thrills package with a get-@#!$-done design. Sure, they are disposable, but the box has enough to last me at least a year, and if you really want to, you can squeeze a second use out of each pair. These puppies aren't "corded" so they don't have a wire joining both plugs. I find the wire to be cumbersome and annoying so I opted for these "uncorded" bad boys instead.